Due to the constraints of mechanical reproduction, colors are not completely accurate. Sold per yard. Product will be in one continuous segment, cut to the ordered length. Please note that because grill cloth/tolex needs to be cut, we cannot accept any returns on these items. Small tolex samples are available for evaluation at $1.00 each. Save when you order a packet of cabinet covering/tolex samples, part number S-GSG2. Packaging Dimensions 36 in. x 64 in. x 0.074 in. Nice looking tweed. It's the olive / beige variety w/ a coating on one side to keep it from fraying and (assumed) make it easier to apply to a surface. For those of you that may be hesitant, this is NOT tolex. The best tweed covering is all I would use. Covered many amp cabinets and steel guitar cases with it ! Beautiful, original Fender tweed tolex. What more can you say? If you are recovering a vintage or covering a new clone, this is what you want for that original look. A little more expensive, but a lot wider than other fabrics, and definitely worth the cost. Material matches the tweed on my old Fender amp exactly! Great tweed at a good price. Price with shipping was far better than anything else on the web. High quality stuff. The coating on the front makes it accept shellac very evenly, it only needs a little sealing on the seams. One yard was enough to do a 5E3 cabinet that I built an inch deeper than standard. I even had enough to redo the top panel after screwing up the shellac due to sloppiness. I will definitely buy this stuff again if/when I build another tweed style amp. Asked by Anonymous on October 6th, 2015. 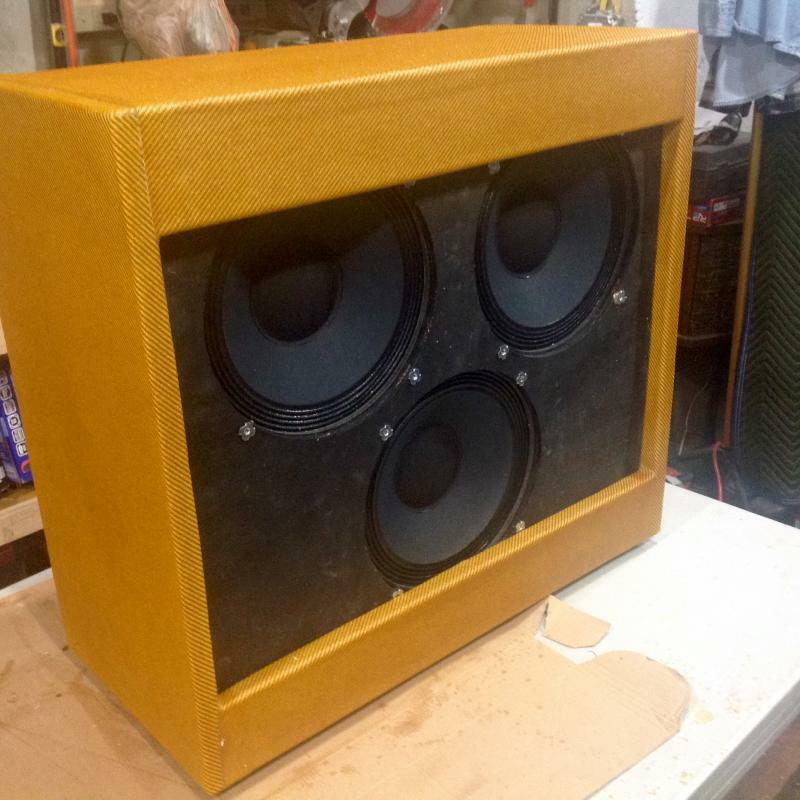 The tolex measures .03" thick. Asked by Anonymous on July 14th, 2016. Yes, this is the same tweed fabric that Fender uses on their amps. Hi, this is genuine Fender tweed. Asked by Anonymous on December 10th, 2016. There are many different methods and preferences on how to seal and lacquer a tweed cab. Bulls eye shellac seems to be a popular choice. Asked by Anonymous on June 20th, 2017. Asked by Anonymous on September 7th, 2017. We do not have a adhesive specifically for tweed but we do sell a general purpose tolex glue. Do a search for: S-F316X. Asked by Anonymous on May 1st, 2018. Do a search for: S-GSAMPLE and add this to your cart. 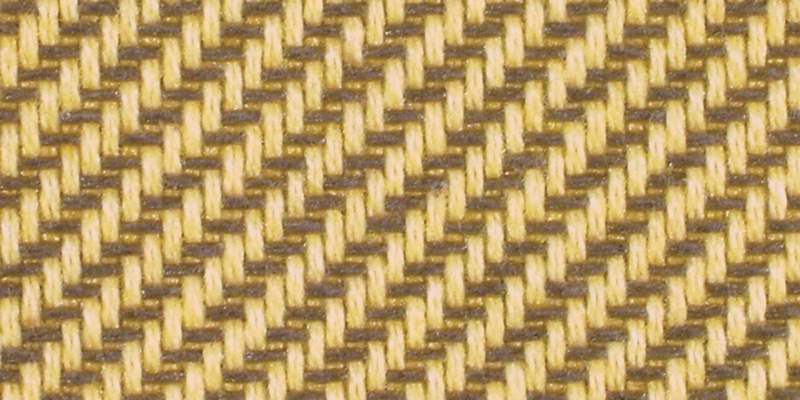 When you checkout there will be a notes section where you will want to put the part number of this tolex (S-G305). Asked by Anonymous on September 11th, 2018. That is simply a general term used for any cabinet covering material in this case. If you look in the product description, it states that this is "Authentic Woven Fabric" We apologize for any confusion.